Communities Joined in Action (CJA) is pleased to invite you to sponsor our tenth annual national conference, which will include over 200 community health leaders from health systems, county and regional health collaboratives, community health centers, health plans, public health and social service providers, philanthropy, and consumers who are committed to achieving better health, improving health care and lowering health care costs. Your generosity enables diverse community stakeholders from across the country to participate in educational sessions on the latest relevant topics and share emerging lessons that will inspire and inform their efforts when they return home. 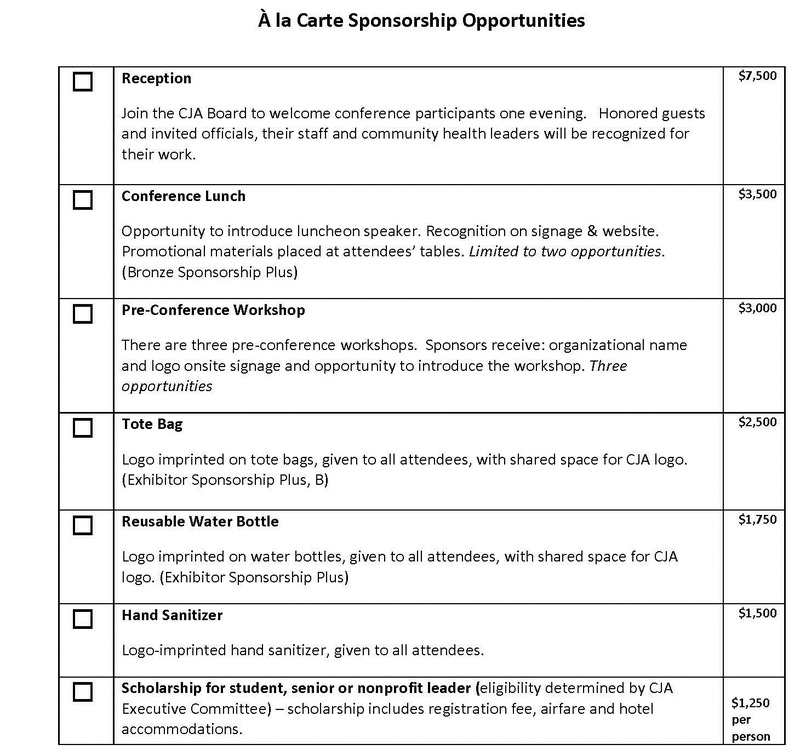 Your sponsorship resources will be used to provide scholarships for community stakeholders and students who may lack institutional support, cover travel for keynote speakers (who are not paid honoraria), and to assist in the underwriting of related conference expenses. Our annual conference creates a dynamic forum for the exchange of ideas among our membership, and registrations are a key source of core funding to be used to engage and support our members over the course of the year. 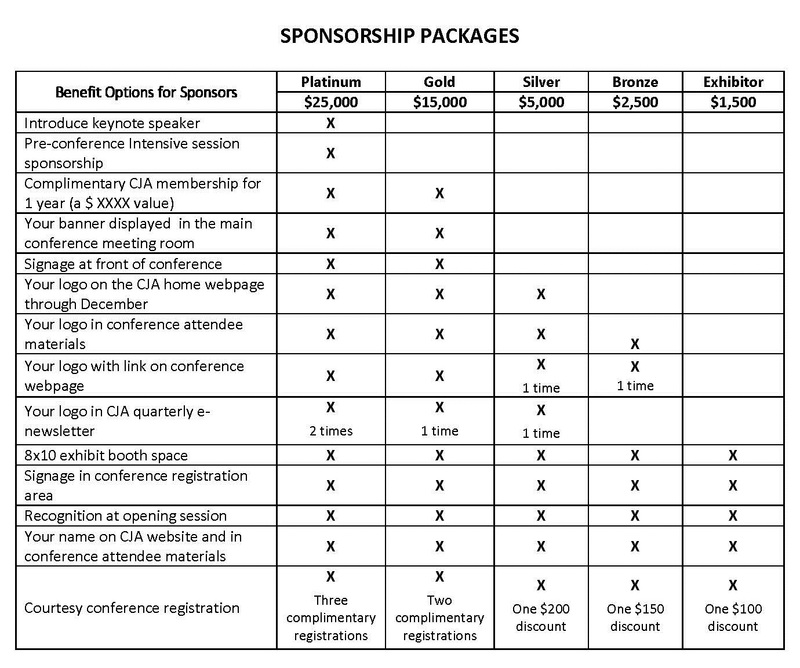 A such, your sponsorship is a gift that extends well beyond our annual conference. deployment of CHWs to address health disparities.